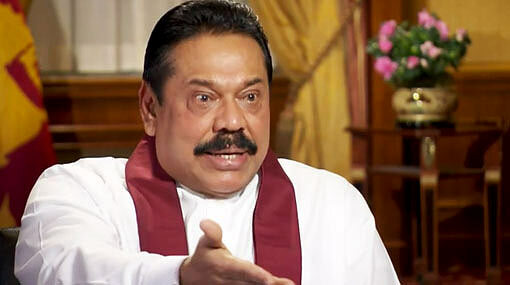 The Special Presidential Commission of Inquiry into serious fraud has rejected the objections by former President Mahinda Rajapaksa’s lawyers and has decided to continue with its mandate. Proceedings of the CoI was suspended yesterday after Rajapaksa’s lawyers objected on its composition. However, the commission has decided to reject the objections raised by the lawyers and continue with proceedings, secretary to the commission Lesil de Silva said. The special commission was appointed by President Maithripala Sirisena to investigate and inquire into serious acts of fraud, corruption and abuse of power, state resources and privileges. It is currently investigating a complaint over the financial irregularities amounting to over Rs. 200 million present at the State-run Independent Television Network (ITN). Do they just reject (may be because the president stands behind them) or do they give the legal basis for the rejection as per set out in SL law and/or constitution? Legal basis or not, is it not clear that the master crook is trying all means to avoiding justice. It now appears that not $500 million but over $5 billion is stashed away in West Asian, Ucraine and other countries. It is a pity that Dubhai is reluctant to freeze the accounts hidden there. Wait till Sajin comes out with the truth provided a white van does not pick him up and bump him off. Are some in our beautiful country still such gullible to the trickster Rajapaksa’s bogus mantra? Did you hear about a village in Hambantota, the Rajapaksa bastian, protesting over the weekend due to unavailabilty of water even to meet basic needs? Apparently the water is being diverted to nurish the wet weather plants in the Rajapaksa created botanical garden in Hambantota. It seems MR is off the hook for the time being as apparently theb all important witness Sajin has shown the white flag to the thug through a friend of his with the following pre-qualifications! After all it appears Sajin still has the big man by his balls where it hurts most. Good on you Sajin. Gooooood booooy. I shall wait and see on the basis of what evidence I have seen so far since beginning og the 2015 January presidential campaign and how many people and evidence are produced and proven before proper established law courts where cross examination of what is produced as evidence is possible. If you know so well and have the facts and evidence you claim, this is the time to go to the police with those evidence of wrong doing or at least to few national newspapers, since SL police are utterly corrupt cowards that bend 3 times before politicians in whichever party.